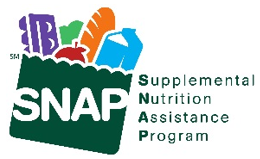 The SNAP E&T program is designed to provide individuals an opportunity to develop job skills and experience to assist them in obtaining gainful employment so they no longer require Food Assistance Benefits. If you are identified as required to participate, you will be assigned to complete an appraisal with an Employment Services Worker (ESW). Your ESW will ask about your employment goals and discuss any barriers you may have. Your ESW will examine your barriers and may assist you with referrals and/or activity assignments to help you overcome your barriers and ultimately reach your employment goals. You may be required to participate in a Work Activities plan for a specific number of hours per month to continue receiving your Food Assistance Benefits. Those activities include Job Search Assignments, OhioMeansJobs registration, and also may include a Work Experience Program (WEP) assignment where you will report to a worksite and perform your required number hours of work each month. Your Worksite participation may then be listed as experience on your resume which will help you find employment. You may also develop professional relationships at your worksite that may provide you valuable resume references. If you are required to participate, your SNAP Eligibility Worker will assign you a date/time for your Appraisal with an Employment Services Worker (ESW) for your Employability Plan to be created. During your Appraisal, you will be provided further instructions regarding the SNAP E&T program and your responsibilities. If you fail to comply with program requirements (including participation during the appraisal, job search activities, or WEP assignments), you will be subject to sanctions and could lose your Food Assistance Benefits.